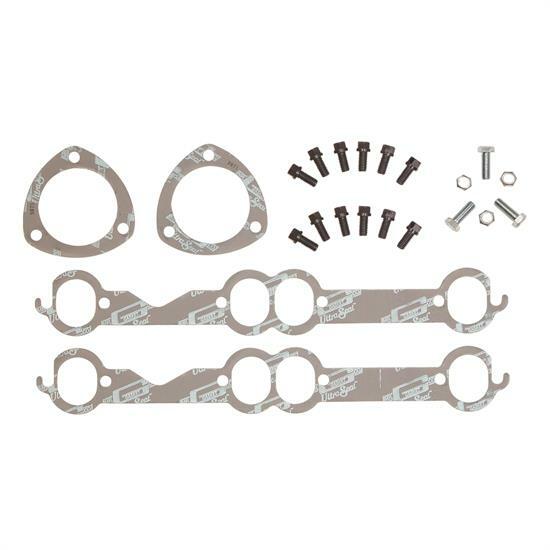 Header Installation Kit - Chevrolet V-8 1955-91 265-400 Oval Port. Includes gaskets and fasteners necessary for header installation. Made using premium Ultra-Seal exhaust and collector gaskets. Mr. Gasket header and collector bolts deliver necessary clamp-load to seal flange mating surfaces. Port Size 1.50" x 1.82"